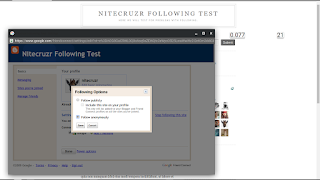 When we Follow a blog, we can choose to Follow anonymously, or publicly. 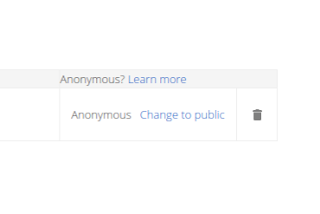 We can change the option, to Follow anonymously or publicly, when needed. If we Follow publicly, we can hide this blog, in our profile, on other blogs. 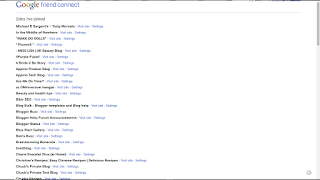 We can also hide blogs in Reading List, to keep the list manageable. 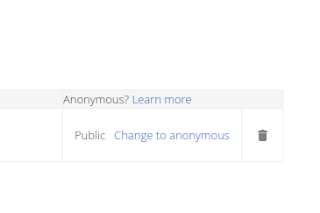 Change between Anonymous and Public Following. There are two ways of changing between anonymous and public Following. Use the Reading List wizard. 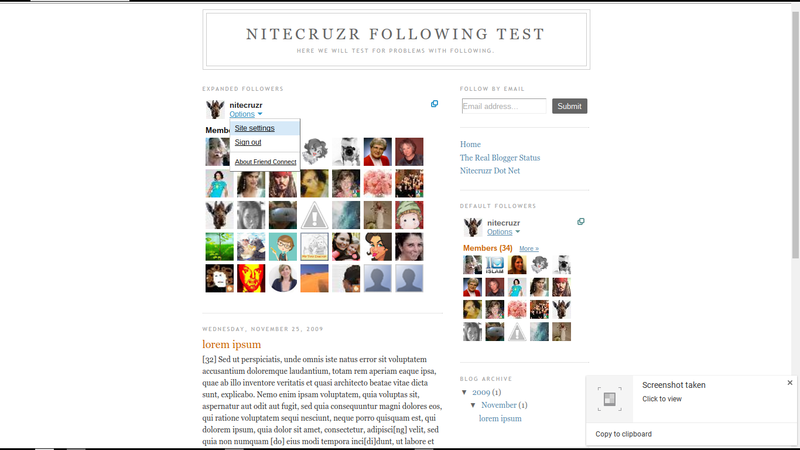 If you are Following a blog publicly, you'll have your icon in the Followers facepile (the icon cloud in the gadget). 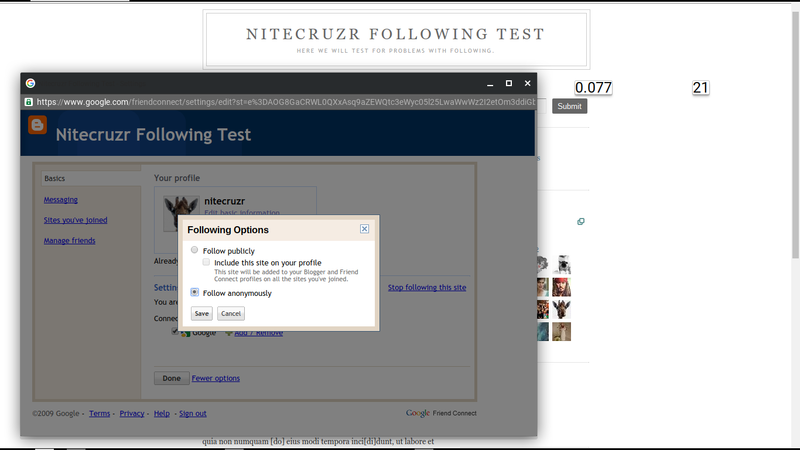 You can edit your profile, and Follow anonymously - or continue to Follow publicly, but with this blog hidden from other blogs. 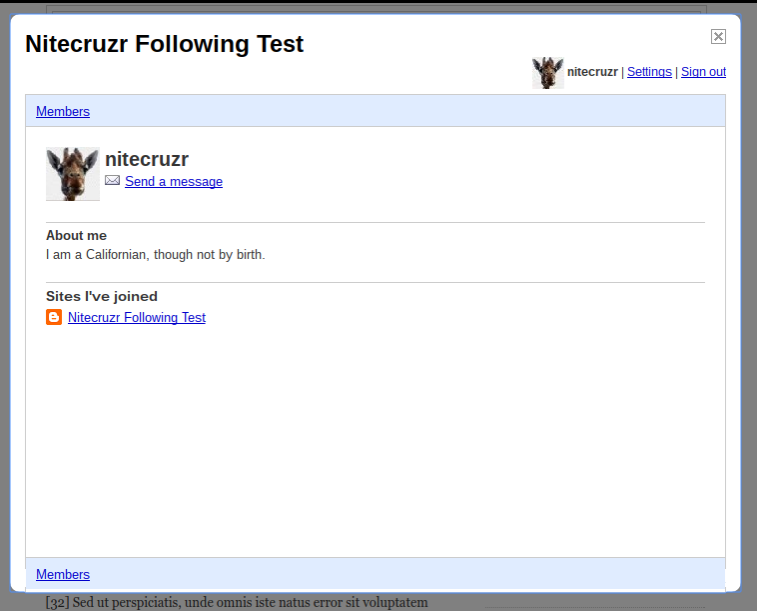 Click on "Options", when you are logged in to Following, as yourself. Then, click on "Site settings". Or, if you are Following publicly, you can click on your icon, then "Settings". Now, you have the Settings wizard, for this site. Click on "publicly" - since you can see this, when Following publicly. 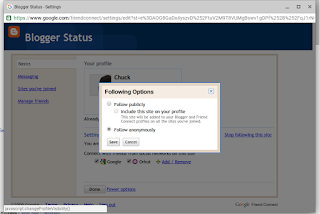 If you're Following publicly, you can choose to Follow anonymously - or continue to Follow publicly, but not include this blog on your profile. 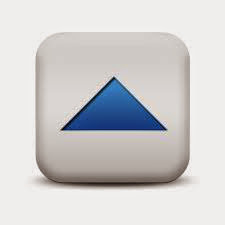 If you are Following a blog anonymously, you won't have your icon in the facepile. 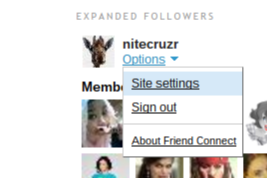 If you want to now Follow publicly, and you are properly logged in, you'll still have "Options" - then "Site settings". 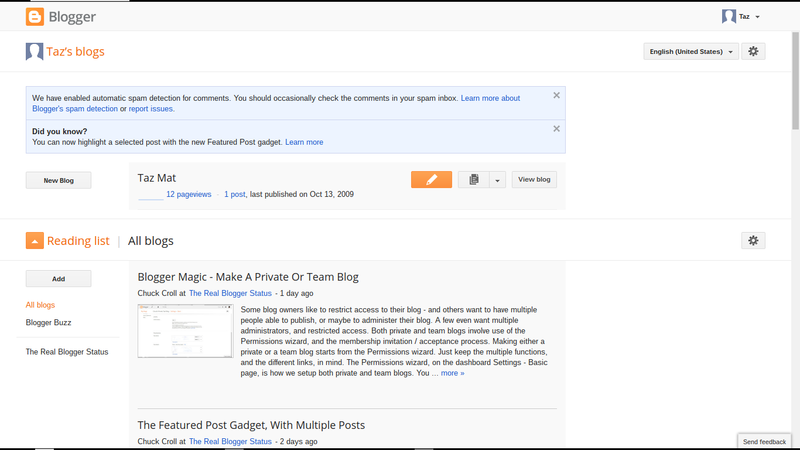 There are two Reading List management wizards - one for Blogger profiles, the other for Google+ profiles. Changing Reading List, with a Blogger profile. 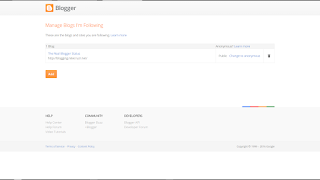 If you have a Blogger profile, you use the Blogger "Manage Blogs I'm Following" wizard - that you access from the Blogger dashboard. 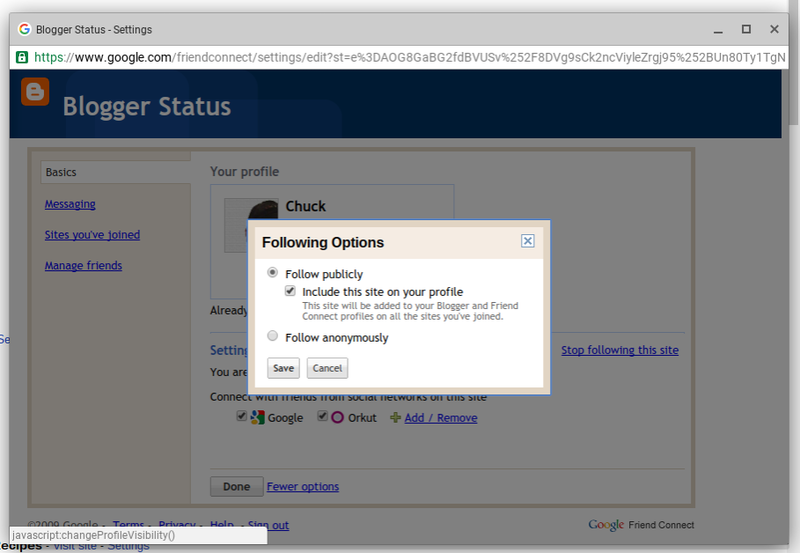 If you have a Google+ profile, you'll use Google friend connect "Sites I've joined". 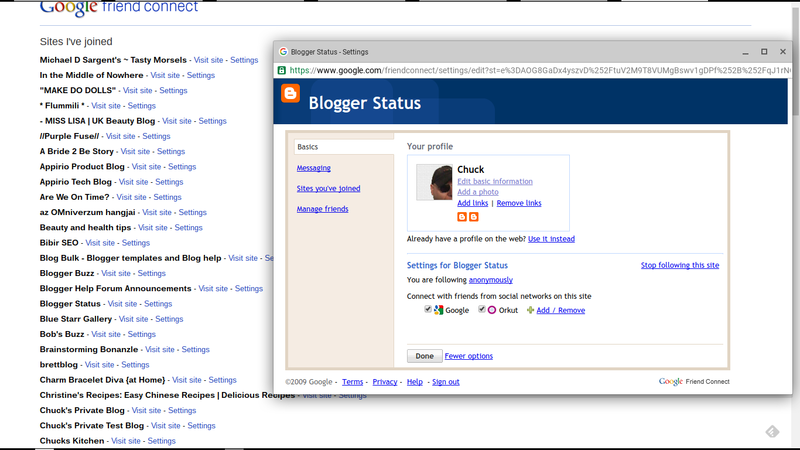 Start from the Blogger dashboard home page. Click on the "gear" icon, to the right of "Reading List". Some blogs are Followed publicly. 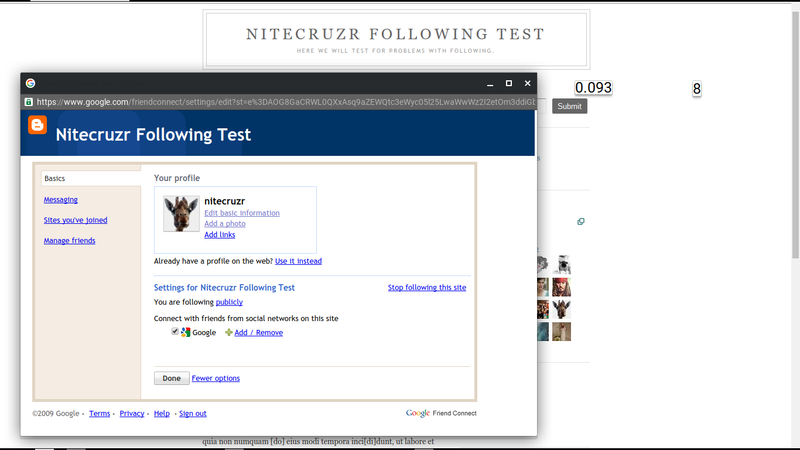 You can make any publicly Followed blog, Followed anonymously. 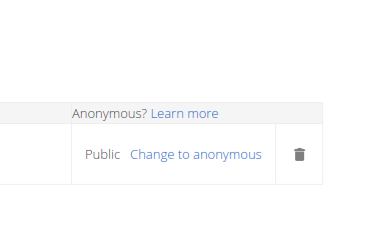 Just click on "Change to anonymous". Some blogs are Followed anonymously. 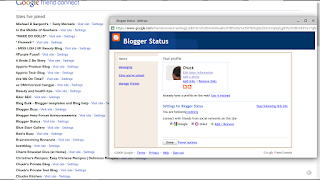 You can make any anonymously Followed blog, Followed publicly. Just click on "Change to public". 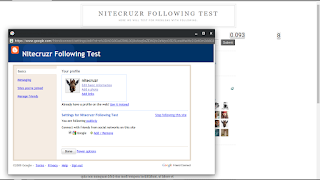 Changing Reading List, with a Google+ profile. 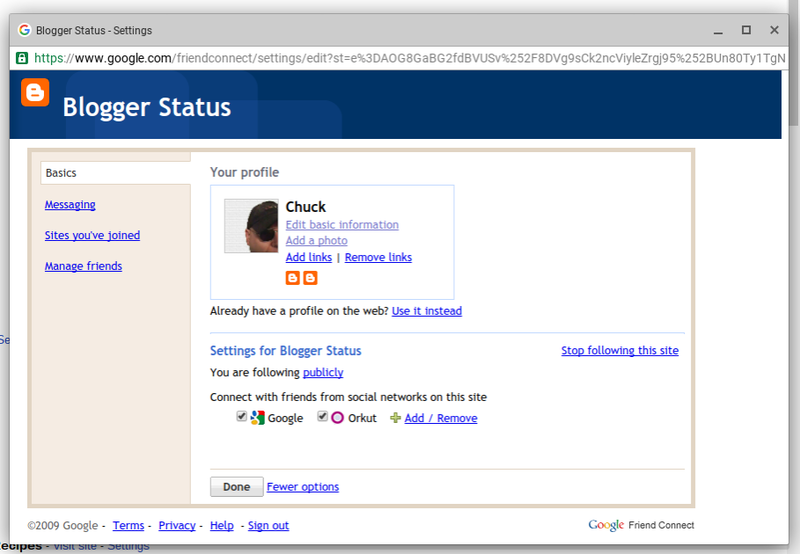 If you have a Google+ profile, you use Google Friend Connect: Sites I've joined. You can't click to this wizard, from the dashboard. 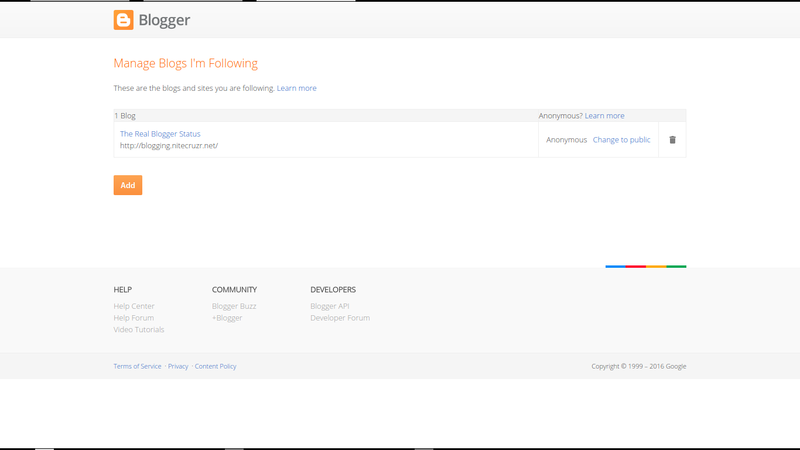 If you have a Blogger profile, you'll use Blogger "Manage Blogs I'm Following". Start from "Sites I've joined". 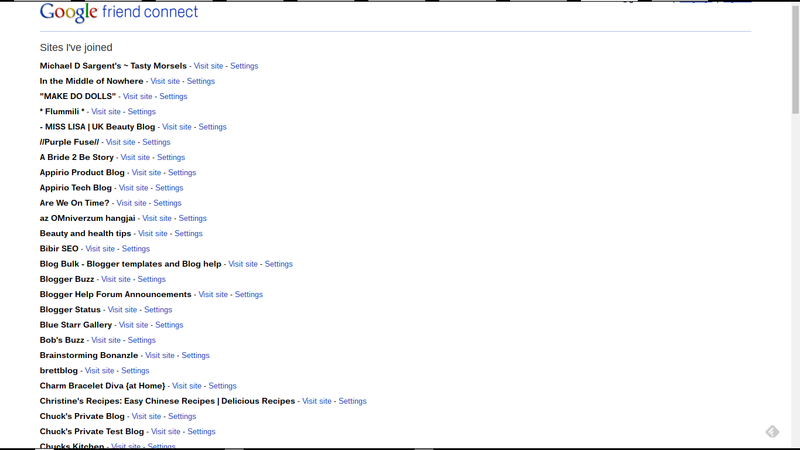 Find the blog that's relevant - and click on "Settings". This blog is being Followed publicly. 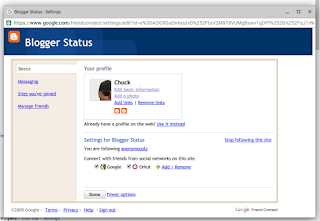 If you choose to Follow publicly, using a Google+ profile, you can choose to display this blog, as part of your profile - when your icon is displayed on other blogs. Alternately, you can Follow this blog publicly - but make it non visible, from other blogs. To Follow anonymously, click on "Follow anonymously", and "Save". This blog is being Followed anonymously. To Follow publicly, click on "Follow publicly", and "Save". If you Follow publicly, you can choose to hide the blog from your profile. You'll be visible, on this blog - but your profile, on other blogs, won't point to this blog. Hide and un hide a blog, in Reading List. 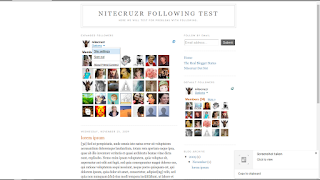 Besides anonymity in Following, we can hide a blog, to make Reading List manageable. So, be aware of the options for choosing private ("anonymous") vs public Following. 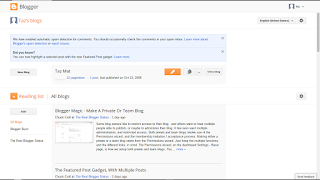 When we Follow a blog, using #Blogger Followers, we have several options to control our visibility on different blogs. We can make ourselves fully or partially visible - or non visible.